Villa Amira luxurious 580sqm villa in a 8000sqm plot is located 800 meters away from Ftelia Beach, overlooking the bay, with amazing colours of sunset offering a unique vibe . 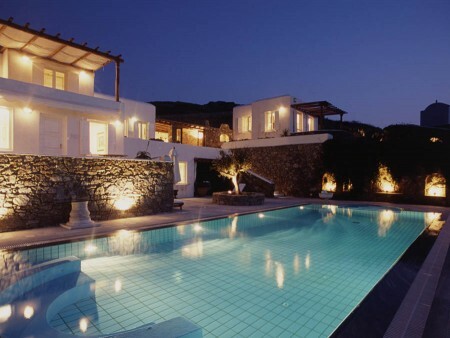 Villa Bellezza located in Ftelia,15min walk of Ftelia beach, 2min drive from Panormos Bay, and 5min drive from cosmopolitan Mykonos Town. 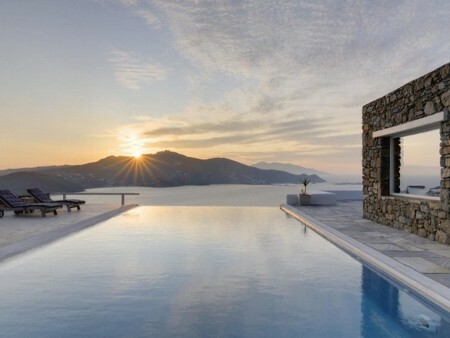 Villa Nella a 350m2 is located at an idyllic secluded spot overlooking Ftelia Bay and facing the beaches of Panormos and Agios Sostis. 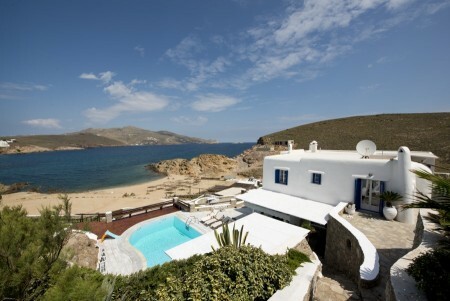 Villa Sylvia is located in an amazingly close proximity to the beautiful Ftelia beach.